I decided to make a little bit of progress towards Krossfire, a Judy Niemeyer design called Jumping Jax Flash. This is one of the 2011 UFO Challenge projects that I didn't finish that year. With a little bit of luck I'll finish it in 2013. This is the first section that needs to be assembled. I'm going through all the pieces. This one shows piece 3 added. 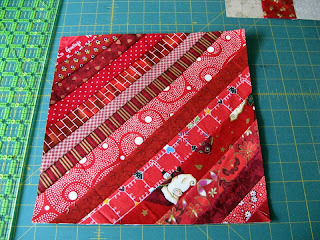 This one shows piece 4 added. 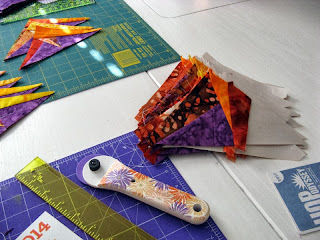 There is one more piece that finishes the section that is a light orange/yellow. You can see the finished section in the top left. 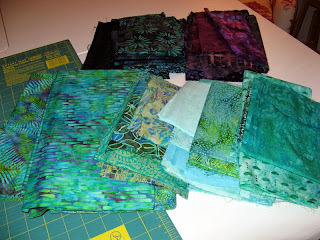 I have started cutting the fabric pieces for the next section that incorporates the teal background. I'm pretty excited about these colors...all batiks too! 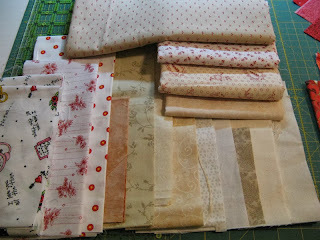 Only a couple more days to sew in my sewing room before my vacation starts. I'll be gone nearly three weeks visiting family in the Maryland/Virginia area. Next weekend I'll be celebrating my birthday along with my Sister. Can't wait for the hugging that comes when you've not seen family in nearly a year. Hope you have something fun going on in your sewing room this week! 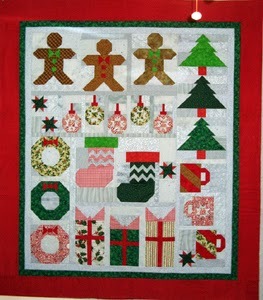 See other projects through the links at Patchwork Times. 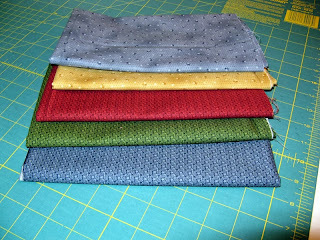 Purchased 1.5 yards at Bits and Pieces in Poway for Kamp Kastles this week. 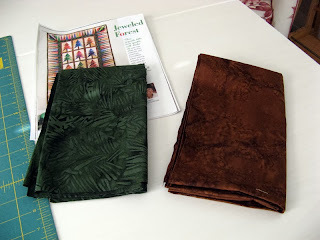 I had something that I could have used from my stash for the golden brown but couldn't pull off the green. When I got to Bits and Pieces the golden brown they had worked better with the green. So end of story...both came home to use in the project. I'm feeling good with these numbers at the end of September. How's it going for you? 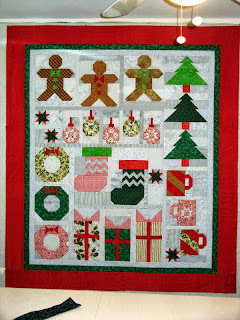 Other stash busters can be seen at Patchwork Times. Letters are all in place...binding ready...sleeve ready! A special label is in the making. Ready to finish Kandle Kounting. 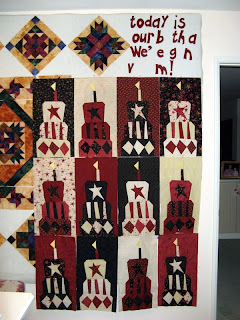 I've enjoyed this Buggy Barn design called Today is Your Birthday! Can't wait to present it to my Sister for her 50th Birthday. 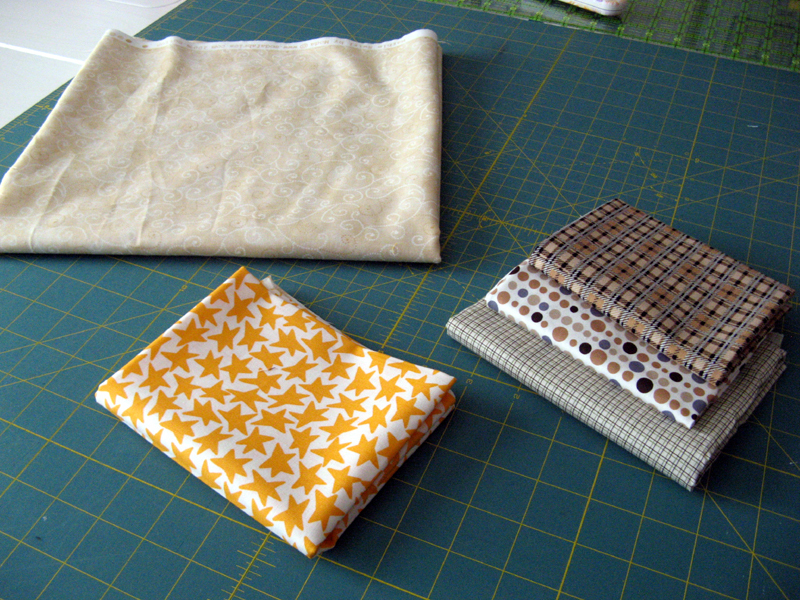 Sunday was a good day in my sewing room. Download #10 released last week contained the top assembly directions for Deck-Ade the Halls. 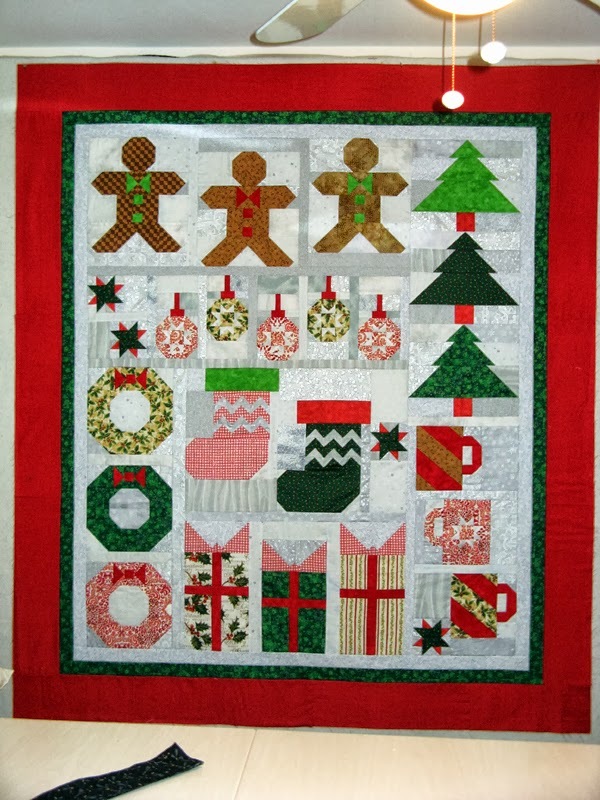 The entire pattern is available at Fat Quarters Shop on their Jolly Jabber blog. 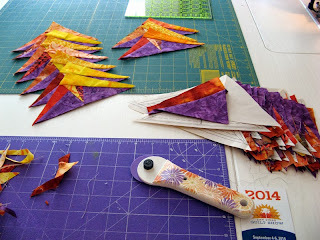 The project has been the summer project for a bunch of us at Sunshine Quilt Guild. Jennifer hosted us several times at her house to share are progress. Still working on a name for my project; with a "K" of course. Nice to have a finish for next week's Sunday Stash Report! I was able to get all the paper pieced components for my September 2013 UFO finished before bedtime. 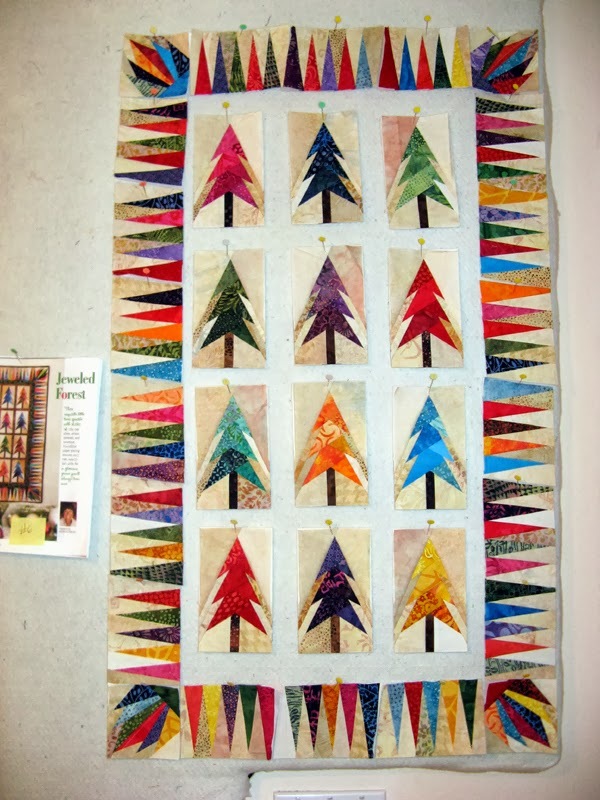 There is a sashing that join the trees together that will be in a brown fabric and an inner border of green that will join with the pieced border to be worked on next. 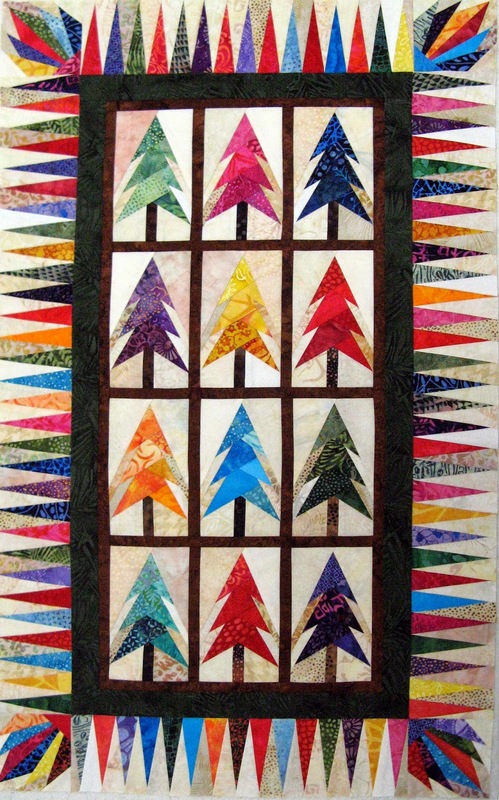 This is a pattern called Jeweled Forest by Renee Peterson that was published in McCall's Quilting November/December 2009 magazine. 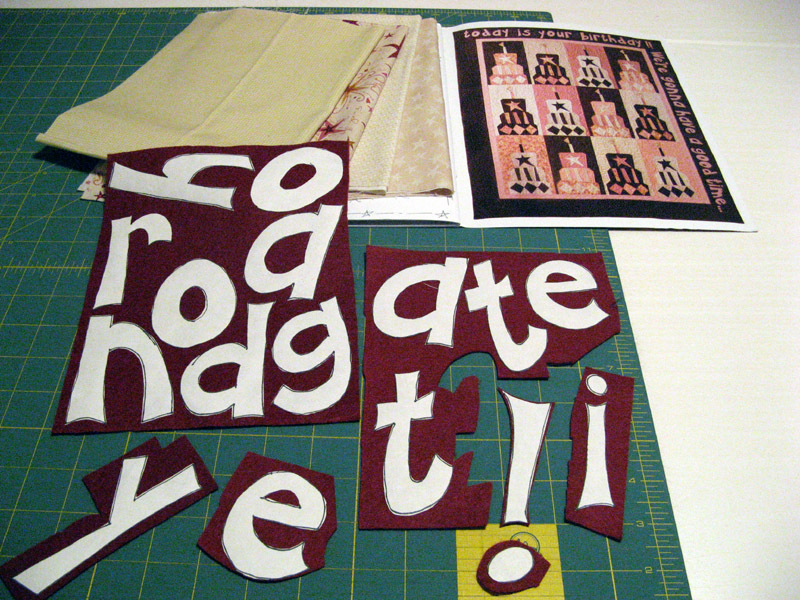 I continue working on getting all the lettering down on my sister's birthday quilt. It is going well. I have the first part of the slogan and the first word of the second part done. Pictures coming soon! 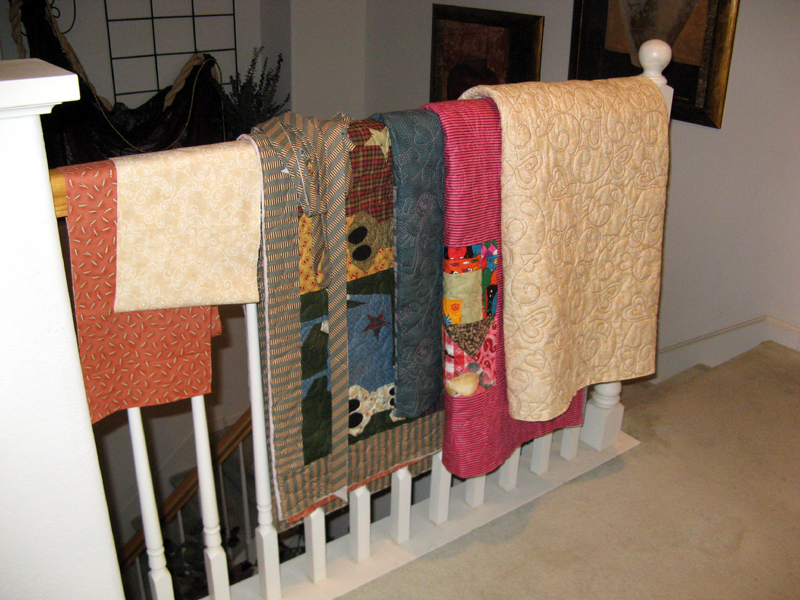 Then there are four quilts to bind. Fortunately only one of these has a time deadline that won't be a problem. This week the sale fabrics from Fat Quarters Shop arrived. 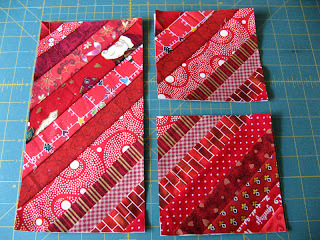 All five fabrics are Buggy Barns designs by Moda. How could I resist $7.53 a yard? 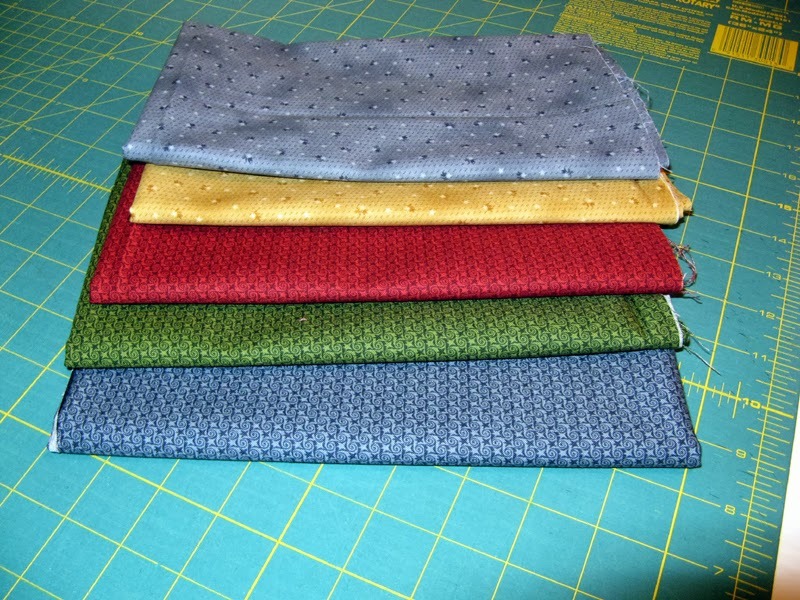 Kerry and I split the 1 yard minimum along with the shipping costs. I'll be looking for future purchases of this kind from them. 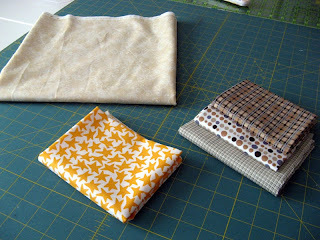 I have been working on several projects, but none have fabrics to count as used. I'm pretty close to having Deck-ade the Halls done along with my September 2013 UFO Challenge. There are 12 participants in a swap I'm coordinating. Quantities are geared towards making Bonnie Hunter's Talkin' Turkey! design. In the coming months you'll see more on this swap. Instructions and timelines were just sent out this week. 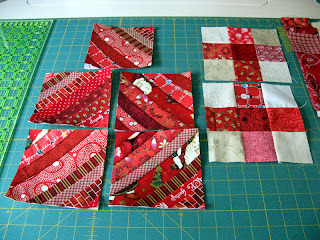 To help better explain the cutting if you decide on the 11" red string block cutting I've taken some pictures. 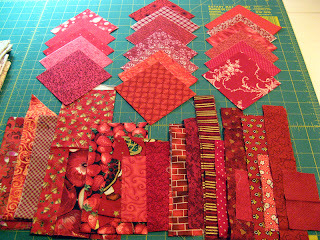 Also see in the last picture the Nine-Patch color arrangement as well as what pieces are to be put into individual kits. 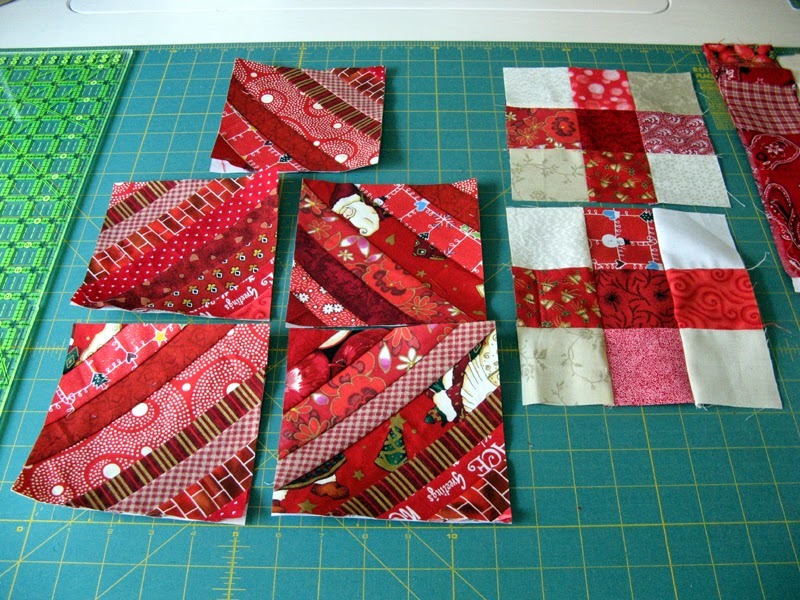 Assemble a slightly larger 11" red string block. 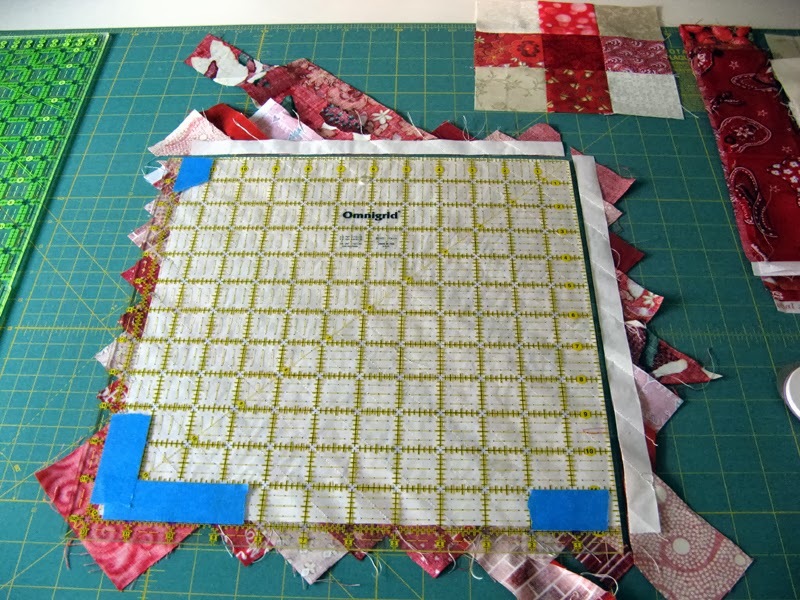 Use your square to trim it to 11"
Divide the 5 1/2" blocks and Nine-Patch blocks into kits for each participant in the swap. 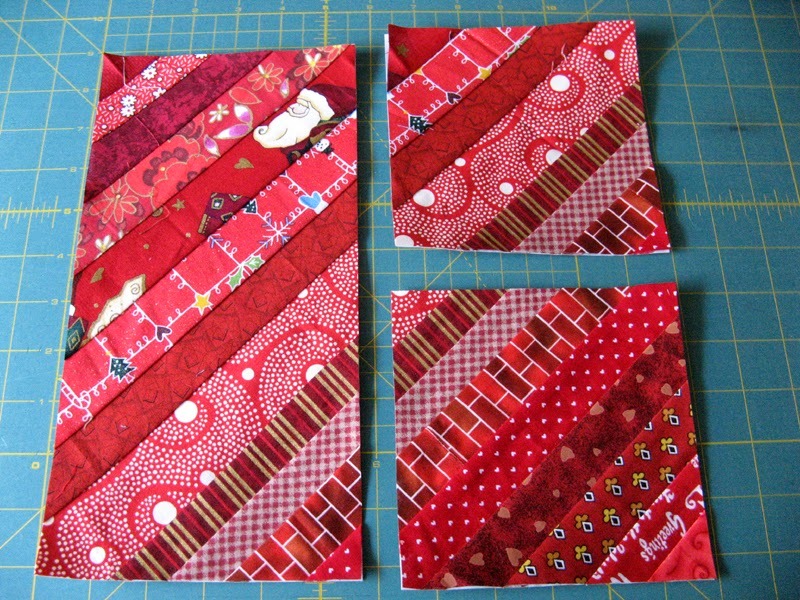 These are the fabrics I will use for the Red String and Red/Neutral Nine-Patch Swap. 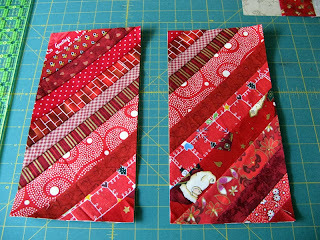 Lighting is not so good on the reds; I should have had a particular light off :(! The reds on the bottom row show the true tones best. Between now and Monday I'll have a post for the assembly to help understand the instructions I sent out to participants on Thursday. Can't wait to get going on this swap... 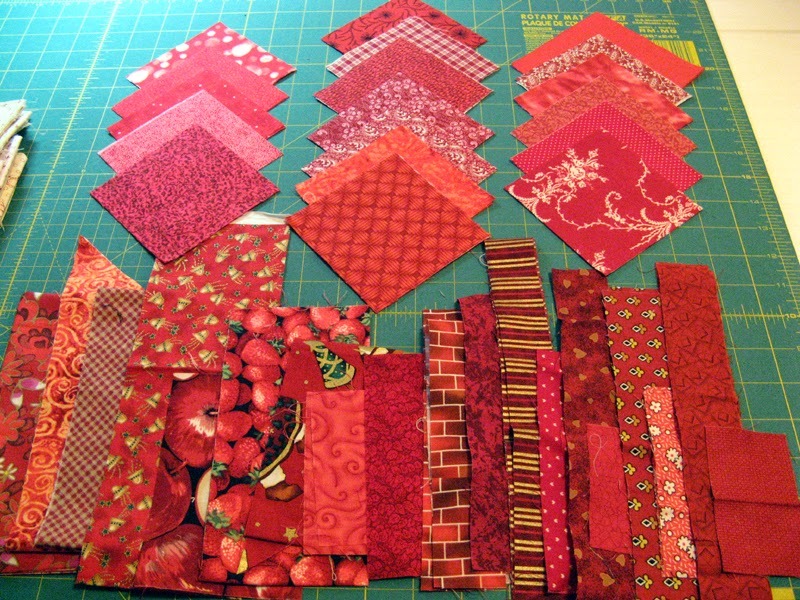 I'm planning on using my Mom's red stash while I'm visiting there in October. Mom isn't participating this time, but her stash will! Okay Mom? My start at September 2013 UFO Challenge project was Monday night during Dancing With the Stars. (I just love watching this show!) I pulled fabrics from my stash and assembled the first two trees. 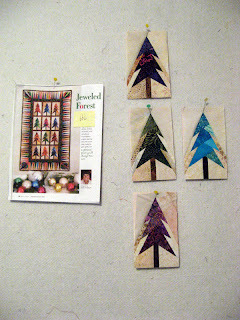 There are twelve in the McCall's Quilting November/December 2009 pattern called Jeweled Forest designed by Renee Peterson. 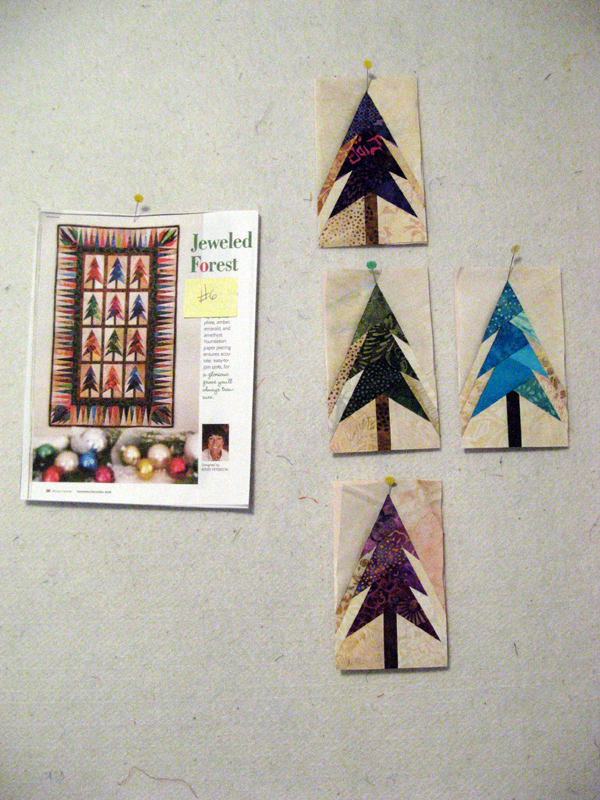 Tuesday night two more trees grew and four more were prepared for sewing. 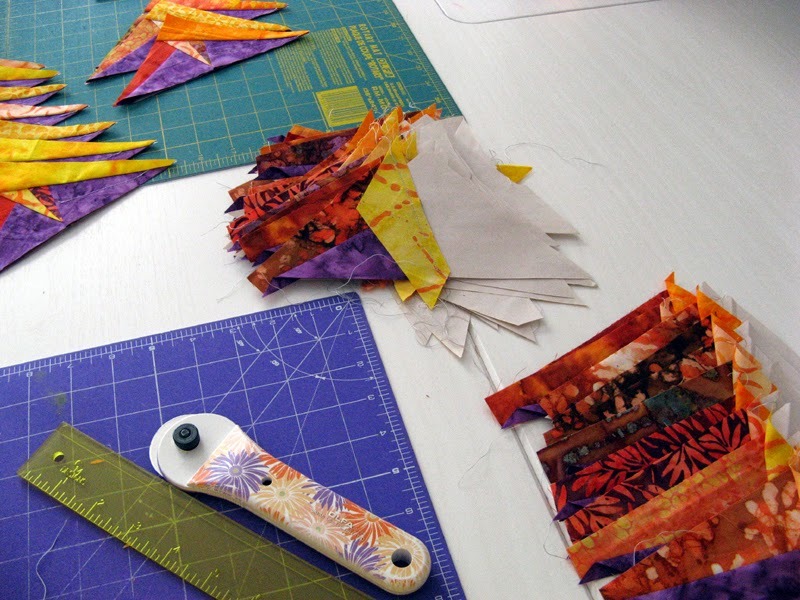 It is a paper pieced pattern that is somewhat on the small scale side. 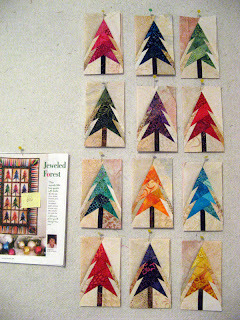 The tree block finishes is 3 1/2" x 6 1/4". The entire project will finish at 22 1/2" x 37 1/2". 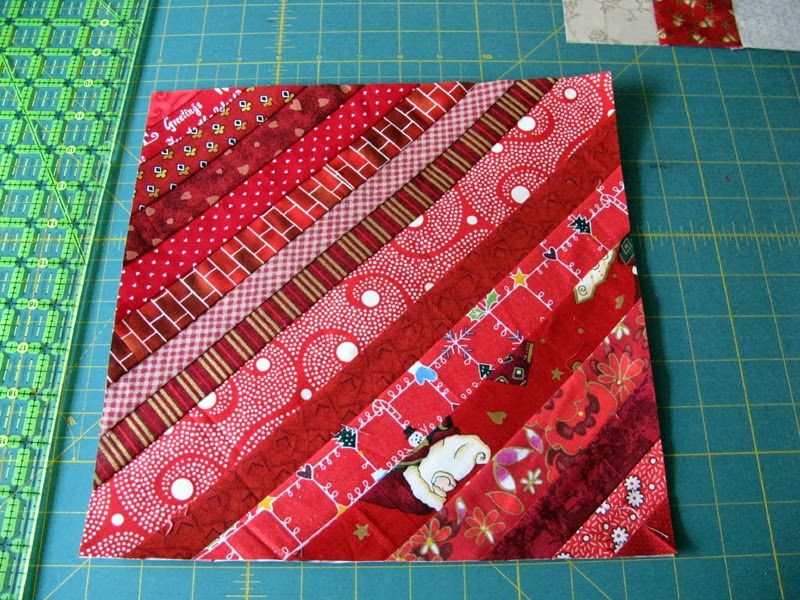 It probably doesn't appear like it, but that border is composed of three different patterns not including the corners. The neutrals are shades of beige on the yellow/gold side. 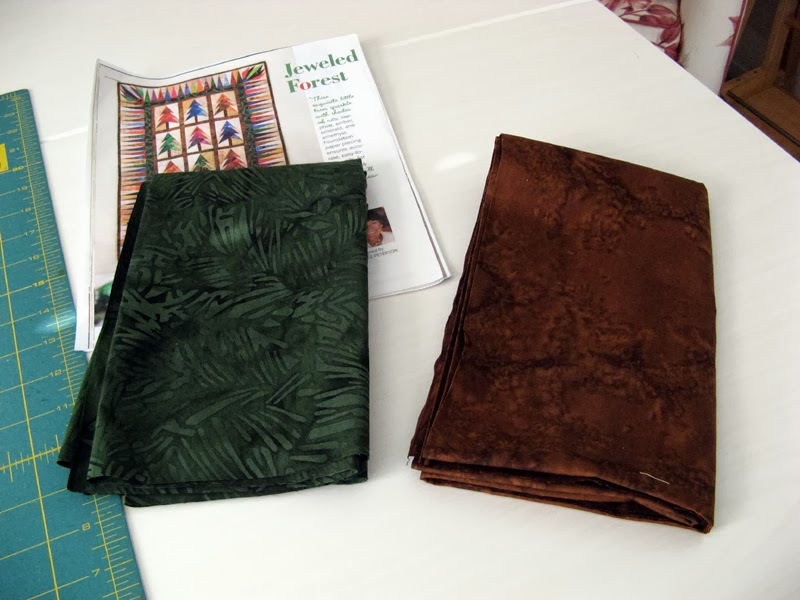 It may look odd having a few darker fabrics in these first trees, but those darker fabrics will be picked up a few times throughout the entire project. 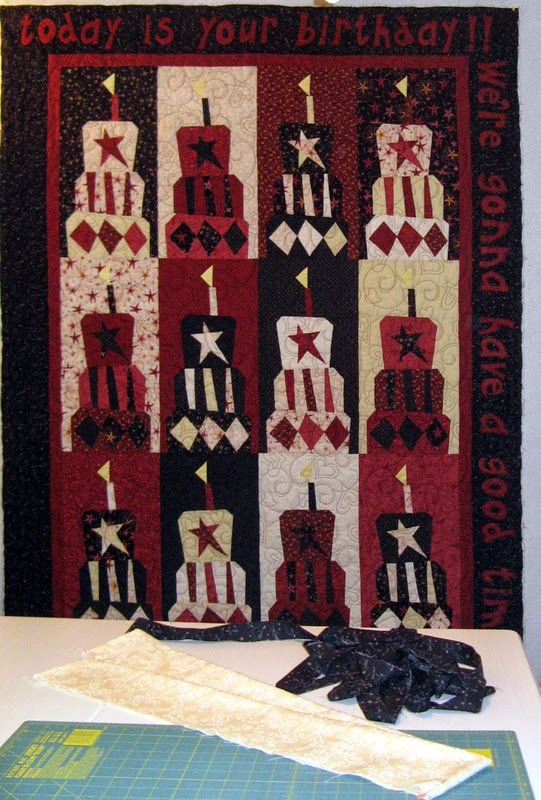 Thanks to my Sister and Sister-in-Law Barbara a few years ago this quilt already has a name selected. Kamp Kastles...I believe they did a great job transforming Jeweled Forest into a "K" name...don't you? I'm running a bit behind where I'd like to be in the progression of this months challenge. Keep your fingers crossed for me only a couple of weeks before D-Day! Wendy! Your project is finished. 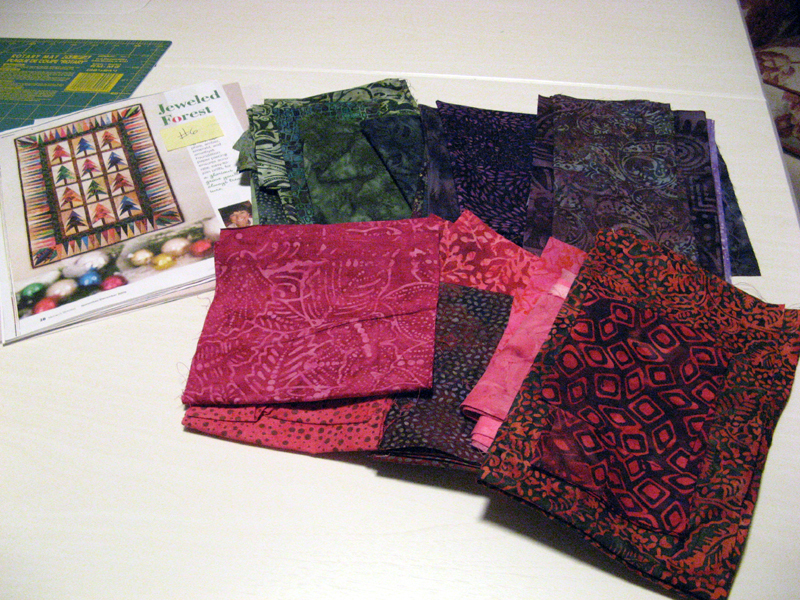 I have the binding to prepare, but it is all ready for Kerry's Quilting just as soon as your back-order backing arrives from Sew Batik. My day Sunday was consumed by this Marti Michelle design called L-Medallion. I was determined to get it done before the month is done...YEAH...I did it! The letters all mixed up to the right are for Kandle Kounting. I plan to start hand stitching them to the top and right borders of the quilt later tonight. A little dab of Roxane's glue will keep them in place as I go. I will be pulling batik strips to start my September UFO, Kamp Kastles. September is a full month for me. I'm usually started; heck really finished with my UFO challenge by the middle of the month. I've not even started this one. 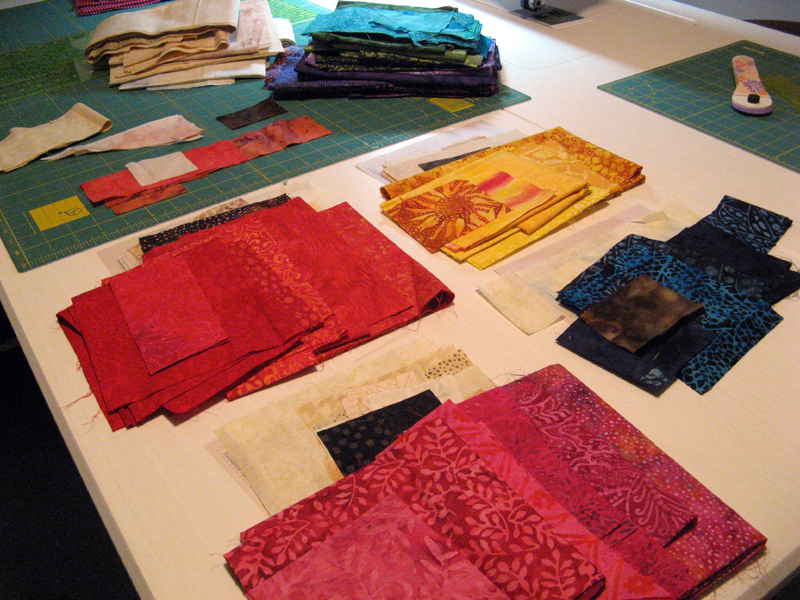 Kerry has my binding queue full with four quilts right now. Krazy Kattle (Till the Cows Come Home by Buggy Barn), Kubicles (Layer Upon Layer by Country Threads), Knautical (Scraps Ahoy by Judy Laquidara), and Kandle Kounting (Today is Your Birthday by Buggy Barn) are over the banister waiting for their turn. I have a couple of purchases and a used to change my stash report statistics this week. I finished Kandle Kounting on Friday. This is one time sensitive project. It has already been quilted and now I'm working on the lettering. 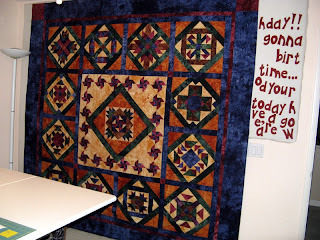 I'll share the finished quilt soon. Thank you Kerry for rushing my quilt through! For purchases this week I'm building up FQs for the next Buggy Barn project that I plan to tackle. 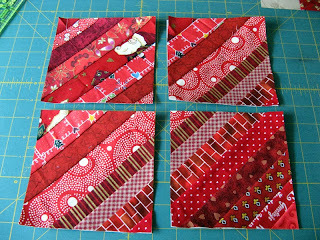 Three of the FQs you see are from Beverly's and the other was picked up at the San Diego Quilt Show. The big piece in the back is the back to Kandle Kounting that I also found at Beverly's. I say this all the time...I simply love their blenders wall... One day I'll take a photo and share this fabric wall so you'll understand why I love it so much. Here's my numbers, both categories a change this week! I'm moving right along with Kandle Kounting. At lunchtime yesterday I cut out the first of the letters. 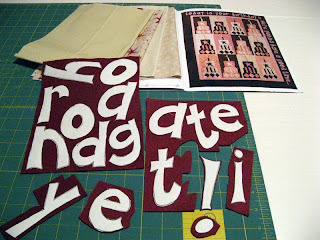 There are lots of repeat letters and the freezer paper templates will work multiple times...so when I got home the second set of letters were ironed down to the felted wool. I'll be cutting them out today at lunch. That will leave me with only a couple more letters to go. 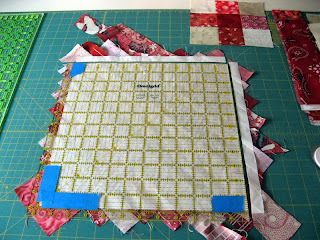 I will be adding the letters on after the quilting by hand with a slip stitch using pearl cotton. 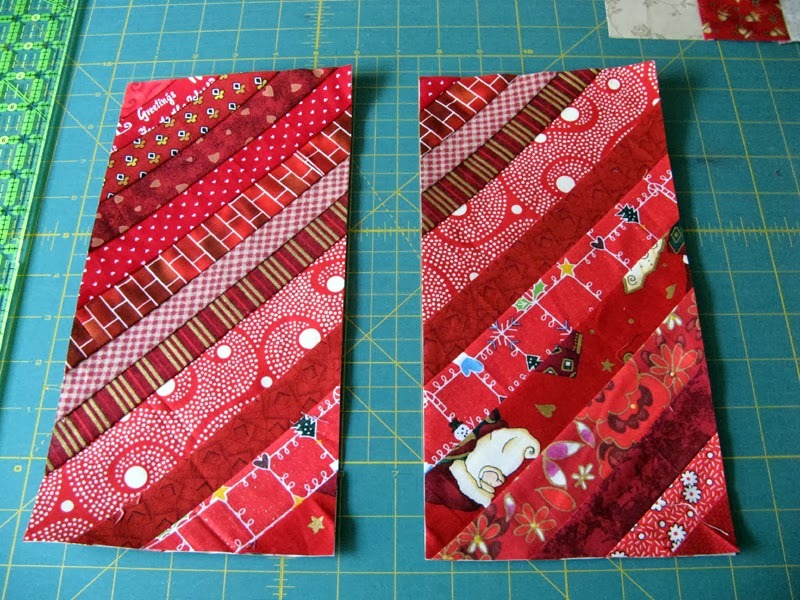 After dinner and cleaning up I trimmed down the cake blocks. My finished block size is 12" x 22 1/2" contrary to what the pattern mentions. It doesn't seem possible that they could be cut smaller as I'd loose some of the last cake layer or the flame on the candle. No matter though, the quilt size will be just a bit larger. 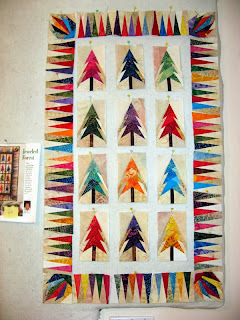 This past weekend was the San Diego Quilt Show. 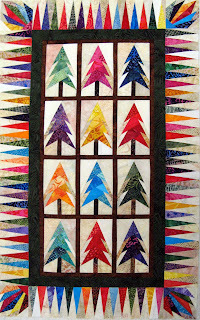 I found only a short time to view the show quilts. I did take photos of all the winners so that both you and I can view them with a little more time. Enjoy all the ribbons! This one wasn't a winner...but it should have been!